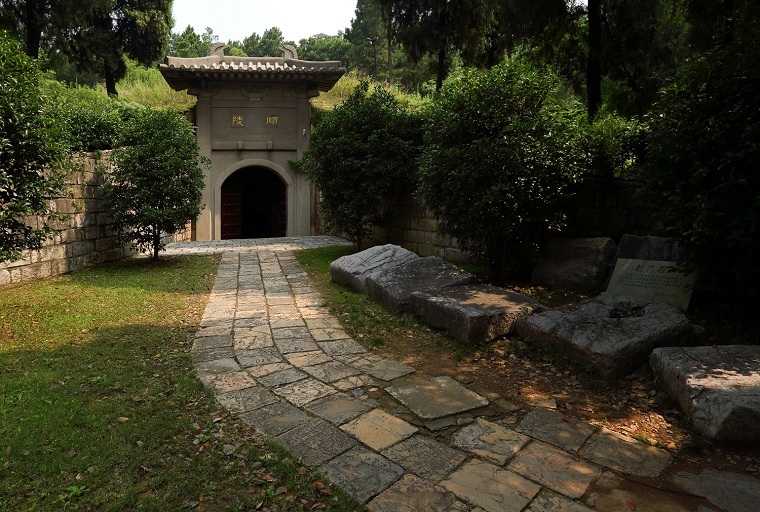 On the southern slope of Niushou Mountain are Two Mausoleums of Southern Tang (937A.D.-975A.D.). 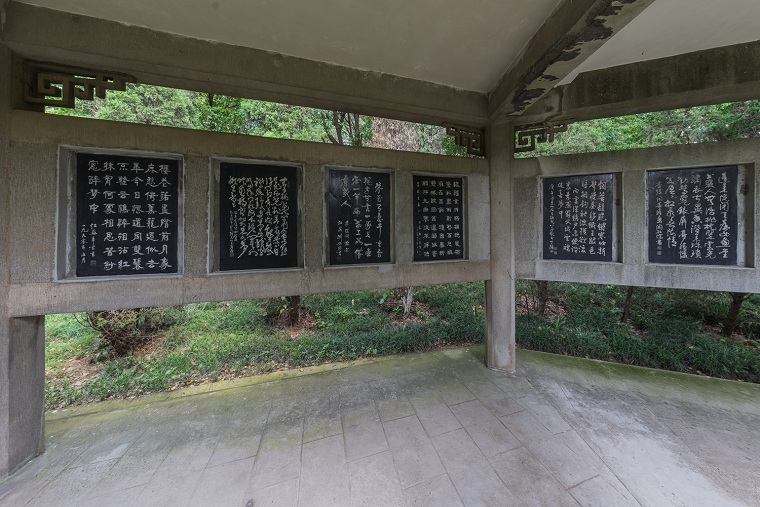 One is Qin Mausoleum for the first emperor Li Bian and his empress Song, and the other Shun Mausoleum for the second emperor Li Jing and his empress Zhong. They have been the largest mausoleums for emperors in the Five-dynasty period. Comparatively large, Qin Mausoleum is 21.5m in length, 10.5m in width, and 5.3m in height. The mausoleum consists of 3 major chambers, specifically, the front, the middle and the back, and 10 wing chambers. The front chamber and the middle chamber are constructed with bricks, and the back chamber is constructed with stones. All of them are of timber-like structure. The gates and walls are engraved with columns, beams and brackets, which are painted with colorful murals. The dome of the back chamber is painted with astronomical star signs; the floor is paved with bluestone carved with mountains and rivers, which symbolize geography. Shun Mausoleum is 21.9 meters in length, 10.1 meters in width and 5.4 meters in height. It also includes 3 major chambers, specifically, the front, the middle and the back, and 8 wing rooms. All of them are constructed with bricks. 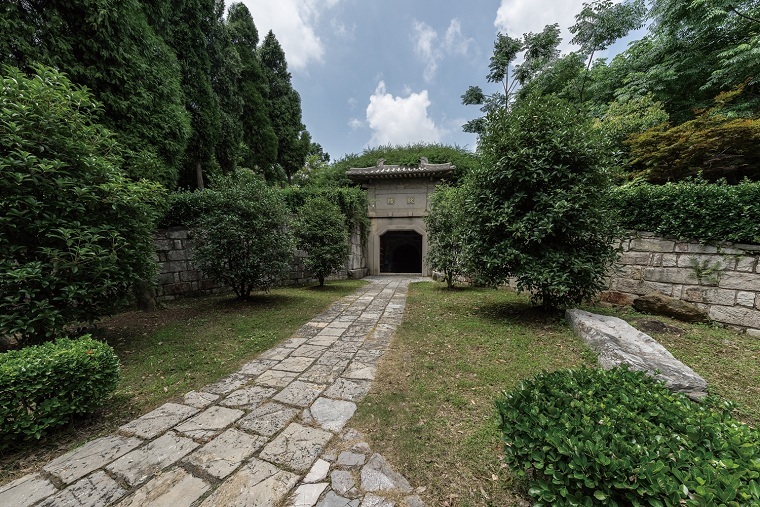 The architectural layout of Shun Mausoleum is similar to that of Qin Mausoleum, but smaller in size. During the turbulence period, the Southern Tang dynasty was stable and peaceful under the reign of Li Bian, which contributed to prosperity of economy and culture. Meanwhile, arts flourished, including great achievement in literature, painting, calligraphy and music. Peaceful and powerful Southern Tang became ideal dwelling place for scholars suffered greatly from war. The last emperor, Li Yu, also got great achievement in composition of poetry and music. Therefore, poetry culture south of Yangtze river was developed greatly. 600 items of relics have been unearthed here. 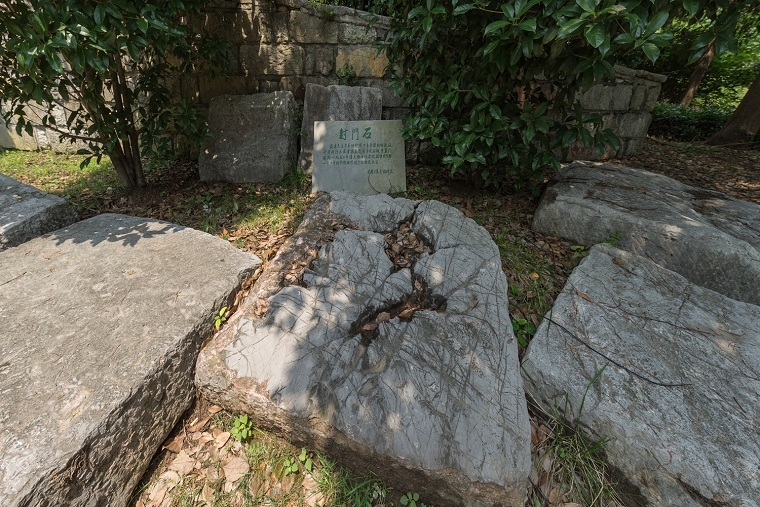 The excavation of them provides highly valuable substantial materials for the study of funeral rituals and rules of the Five Dynasties and Ten Kingdoms period in Chinese history.